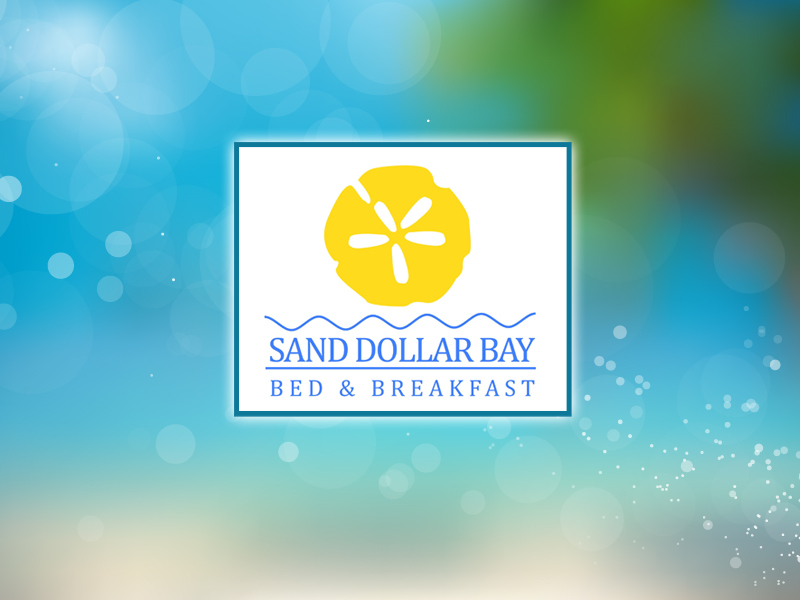 Sand Dollar Beach Bed and Breakfast is committed to helping you get away from it all. 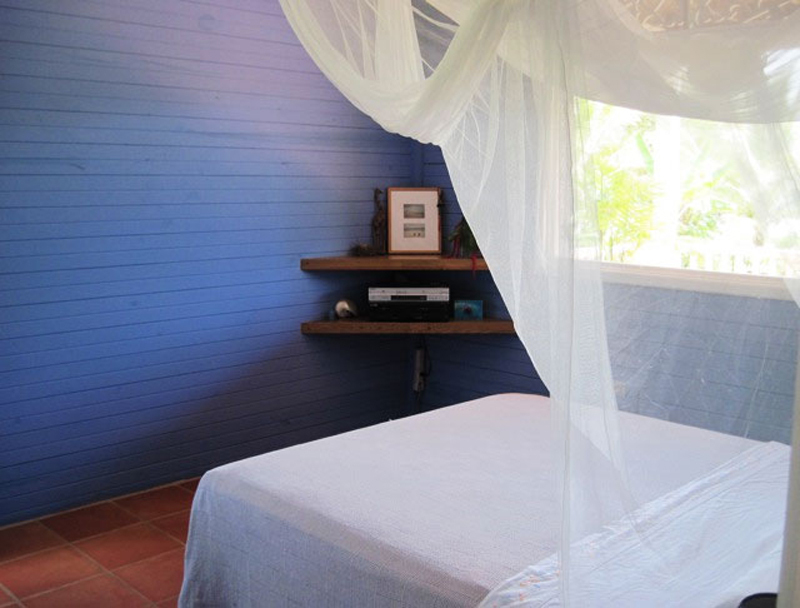 They will provide you with a clean, safe, beautiful Caribbean home to use as a base while you explore what Bocas has to offer. Each day they will start you off with a delicious breakfast prepared to order with fresh local ingredients, including juice squeezed from seasonal fruit. 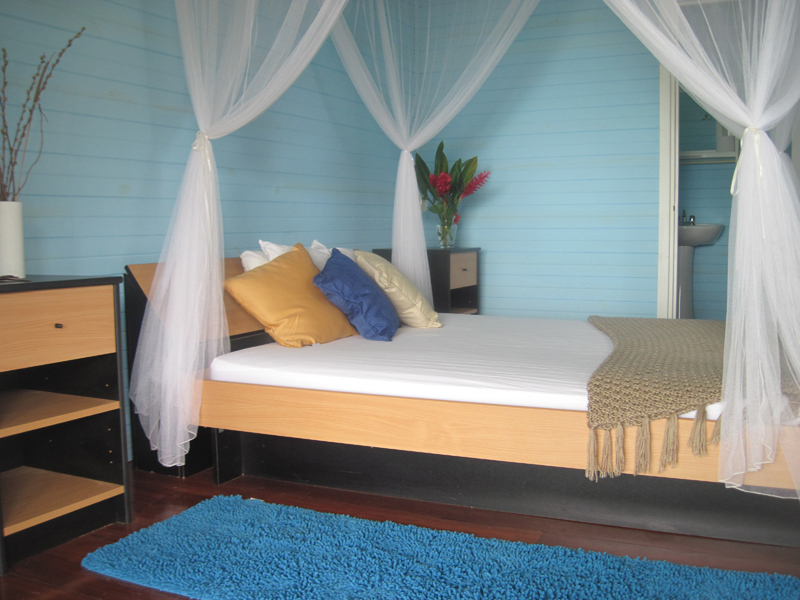 After that, you are ready to begin your adventure, whether that be boat touring to neighboring islands, snorkeling, scuba diving, swimming, dolphin watching, zip lining, surfing, kayaking, bird watching…or simply relaxing on our 3-acre property with a good book and a cold beverage. 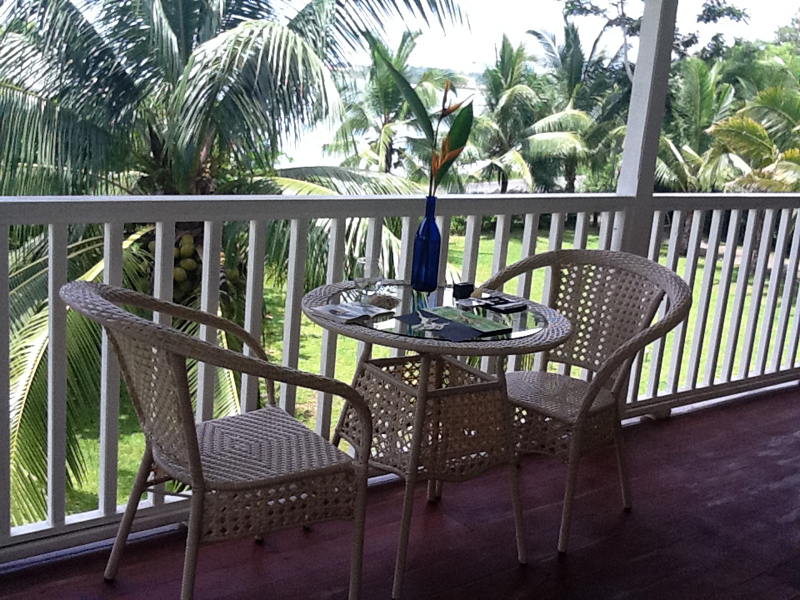 They are right on the bay where you can safely swim year round and look back toward Bocas Town, so near and yet so far. There are 5 rooms total. They are not a noisy hotel in town. 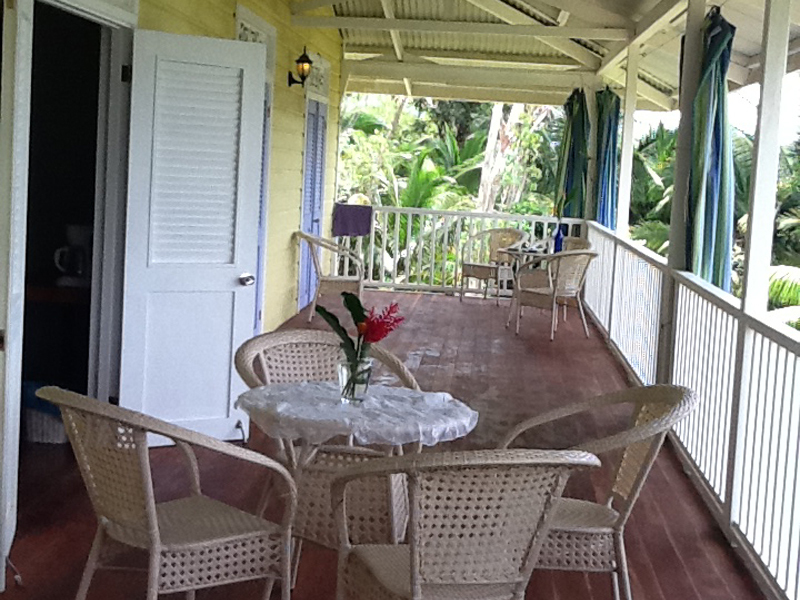 All of their non-smoking rooms have jungle and ocean views with cooling breezes front and back. 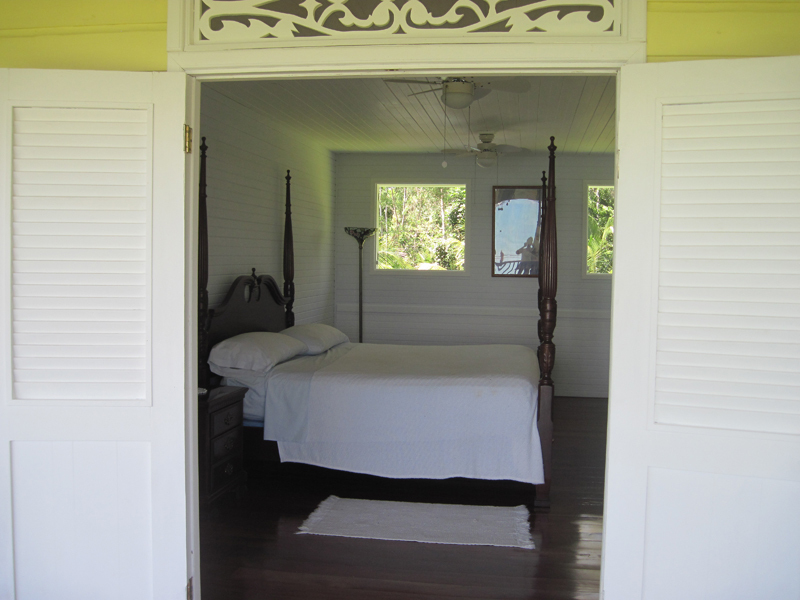 Screened windows and ceiling fans cool and soothe, and allow the sounds of the sea to lull you to sleep, bird songs to wake you up each morning. 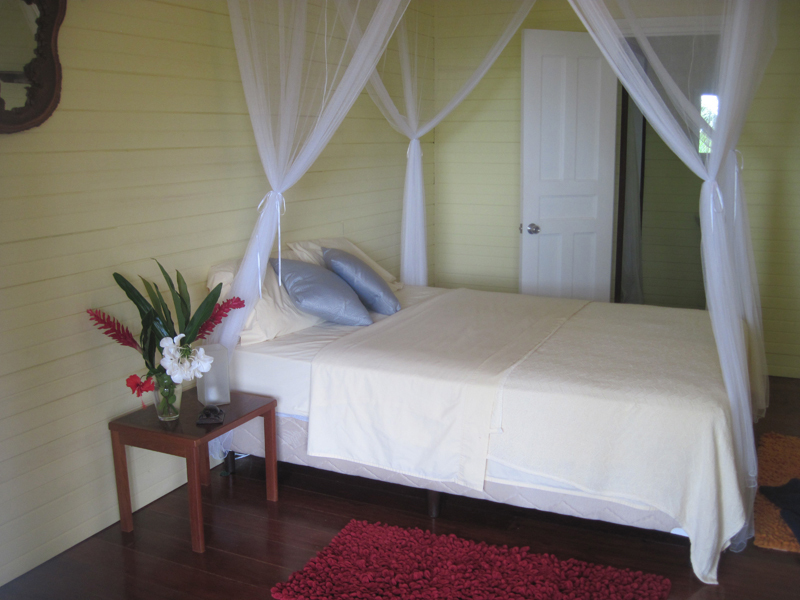 There is a Reading and Games Room available to all guests upstairs, where they can relax alone or with friends. 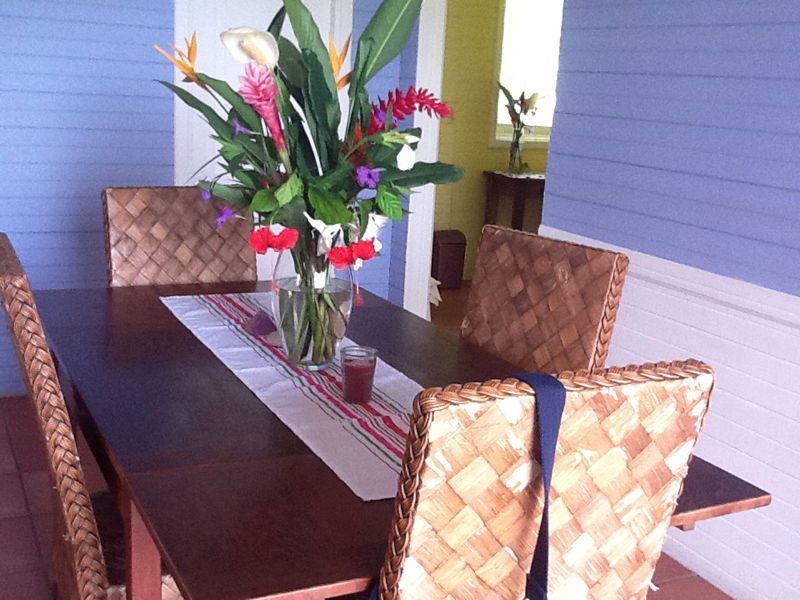 There are books to borrow or trade and there is a TV with a DVD player so their guests can kick off their sandals and watch a movie after a long day on the beach. 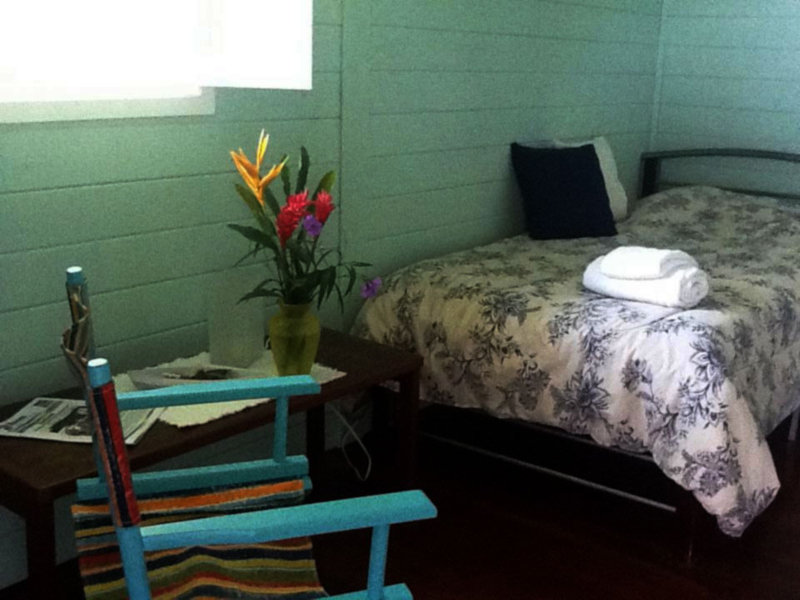 Prices per night, and are subject to change, 3-day minimum stay.